Everything in the horse world costs something; money, time, safety, convenience, health, sanity. Focusing only on the dollar sign, let’s talk about the individual costs…shall we? Buying a horse: Horses go from free to hundreds of thousands. Some sell for millions. In 2000 a thoroughbred racehorse named Fugaichi Pegasus sold for $70 million. That said, you can find very good horses at a much lower price. Things to consider are soundness, sanity, training, and price; not all four things go together. There are lots of free horses but they might be unbroken, unsound, or completely crazy. Shoes: Horses will need their feet done every 5-8 weeks. Each horse grows differently and the environment affects their needs as well. Some horses can go barefoot at $35-$50 per trim while others need shoes costing on average $125. Horses needs change along the course of your life so be prepared for your barefoot horse possibly needing shoes in the future. Boarding: Most people choose to board their horses and there are many great reasons why you should. Each barn offers different types of board and price varies by region. I can tell you in upstate NY it averages 200-700 per month. Some training board and high end places cost $1500 or more. On average, however, you’re looking for full care(turnout with feed, hay, and stall) at about 400-600 per month. Some cheaper locations like Texas can go for 250-400 per month. In future posts we can discuss the different types of board offered for different situations. Vet costs: If your horse requires a vet visit you can pretty well be prepared to pay at least $100-200. Barn call fees are often $45-50 before any examination or procedures are even completed. At the minimum you will need to get yearly vaccinations. When horses colic and hurt themselves it often seems to happen Friday evenings and weekends; an emergency visit fee might cost about $35-50 more. Dental: Your horse will need a dentist. Most vets can float teeth but it’s often preferred to have someone specialized in equine dentistry (most often a vet with the dental specialty). I have seen prices from $80-$200. This cost can be as often as twice per year but it’s recommended to get checked once a year. The frequency needs depend on the horse’s particular needs and it’s age. Young horses and geriatrics require more attention. Tack, Blankets, Treats, First Aid, Wormers: All very in price and needs. Some horses are rugged and don’t need blankets or live in climates where they aren’t necessary. Others (like my thin skinned thoroughbred or an older horse) need some extra warmth in the northern winters. De-worming medications will vary in price based on your rotation schedule. Trailering: If you have to pay someone to haul your horse you’re looking at an average of $1 per mile (total trip) or $2 per loaded mile. Hay: Hay costs between $4-6 per bale. The type, cutting, season, and region will change the prices drastically. Hay in Texas will and Florida will be more expensive after Hurricanes Harvey and Irma. Hay in California and the western states affected by wildfires will also see soaring prices. I’ve heard some outrageous prices for hay going to about $10-12/bale. Horses need to eat about 1.5%-2% of their body weight per day to maintain their condition. In other words a typical 1200 pound horse need to consume 18-24 pounds per day. Shavings: You’ll want to bed your stall with something. We will talk about bedding in later posts. If you use shavings they run about $5 per bag and usage will vary based on amount of time your horse is in it’s stall, it’s cleanliness, and your skill in mucking the stall. I typically average 2-3 bags per week with my messy gelding. Feed: Also depends on your horse’s requirements based on size, metabolism, and workload. 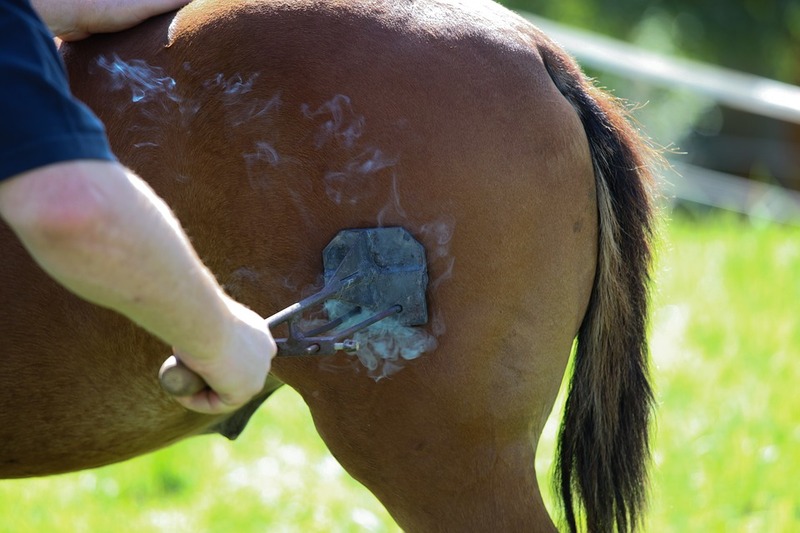 Some types of horses like quarter horses and paints need only a ration balancer and stay healthy. My thoroughbred eats 3 pounds of grain per day plus supplements. Other people feed their horses 7 pounds a day or more. Grain costs on average $15-25 per 50lbs bag. So what do horses cost? A lot! I haven’t even mentioned training, lessons, insurance, optional bodywork, medications or emergency surgeries and treatments. Essentially you simply cannot go into horse ownership thinking that you’ll pay bare minimum as it will be sure to backfire on you. Be wise in your choices and prepare to pay more than you expect. It’s wise to have some savings available to you for the inevitable accidents or hiccups that cost more on any given month. Still not satisfied with your answer? 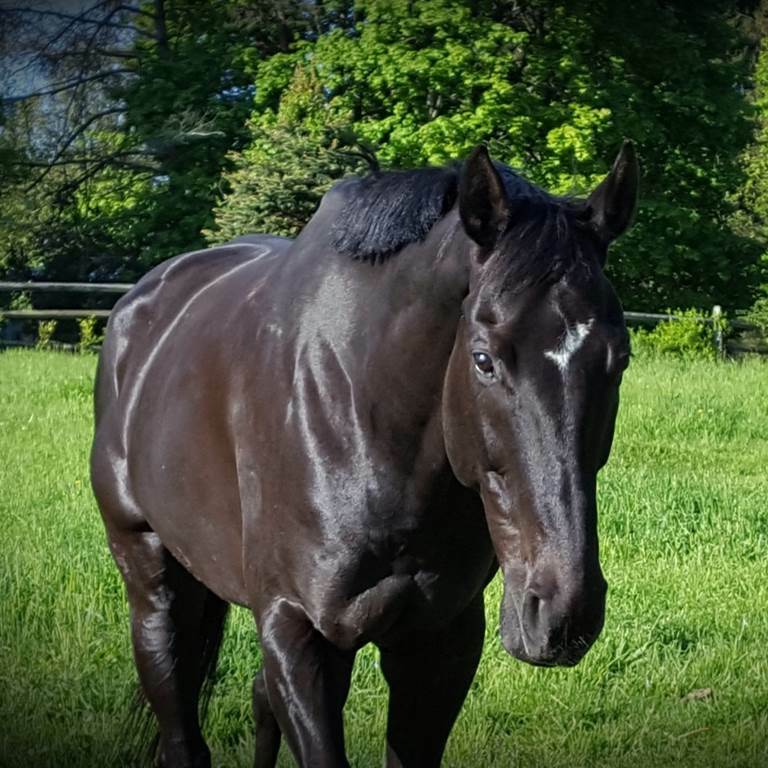 My horse Blade is a physically healthy 9 year old thoroughbred gelding. His conformation is terrible, his feet are great, and since he’s an off track thoroughbred (OTTB) he has chronic gastric issues. He’s normally quite healthy so we see the vet 2-3 times per year (once if no issues at all). In my budget I give myself extra room…$50/month ($600/year) This allows for a few visits or maybe a visit with some radiographs but be aware vet bills can increase rapidly. Board costs me $350/month and I do chores once per week (Otherwise it’s $500) so it also costs me my time. The total for all comes to $565/month. Please keep in mind that this excludes extras like flyspray, blankets, tack, etc. It would also be good practice to work on saving some for emergency needs…whatever else you can contribute ($20-50?). By building up an emergency stash you’re protecting yourself for whatever may come (colic surgery can cost $10,000).